Girl students in this NMC school use toilets at homes during recess! Nagpur: While Swachh Bharat Abhiyan is in full swing across the country and toilets are being built in lakhs, a school in Tajbagh area portrays a dirty picture. 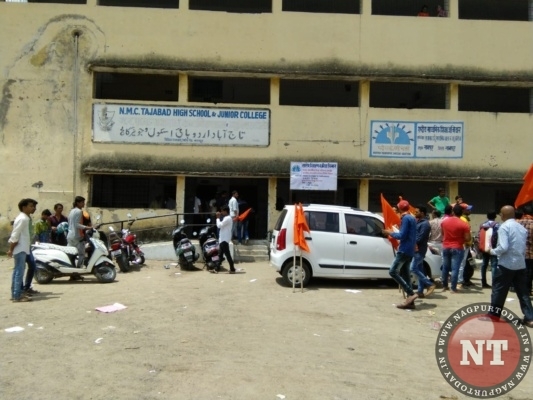 Tajabad Urdu High School and Junior College, run by Nagpur Municipal Corporation (NMC), is a total mess. The school building is in precarious condition. Around 450 students including 300 girls study in this school. Classes for standard 5 to 12 are conducted here. But the facilities are minimum to say the least. There is nothing but dirt, filth galore. There is one toilet outside the school premises. This toilet has neither doors nor adequate water. One more toilet is behind the school which is full of dirt and filth. One more toilet is situated in the upper floor of the school. 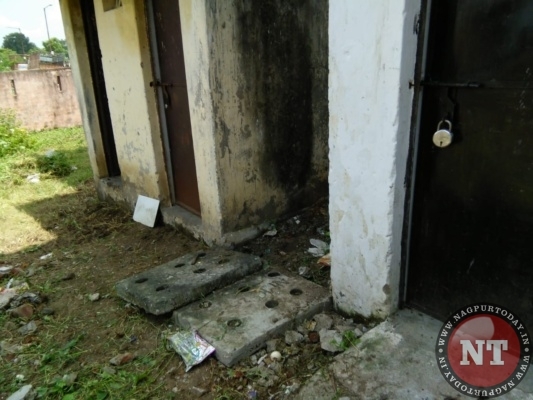 But a glance at these toilets, one would easily come to know that these “facilities” were ever used by the students. They were never cleaned or repaired. No surprise the girl students prefer toilets at their homes during recess period. All these dirty facts put NMC in poor light as it has failed to provide basic facilities in the school. The need for action is to build the school toilets so that the female students don’t face trouble to answer nature’s call. 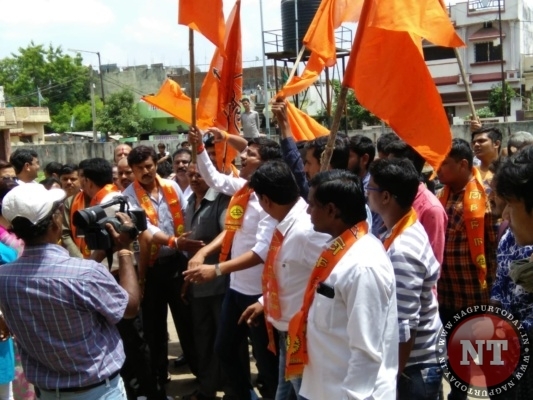 The activists of local unit of Shiv Sena staged a strong protest at the school demanding clean toilets in the school. The protest was led by District President of the party Prakash Jadhav. Corporator Kishore Kumeria and other office-bearers were also present. Jadhav demanded construction of new toilets and arrangement of clean drinking water at the earliest. As the protest was going on, the Zonal Officer of NMC and Principal were present in the school. Some of the activists entered the chamber of Principal and smashed a light. Sensing trouble, a team of police also reached the school. The Zonal Officer assured the Shiv Sena leaders of improvement in facilities as soon as possible.